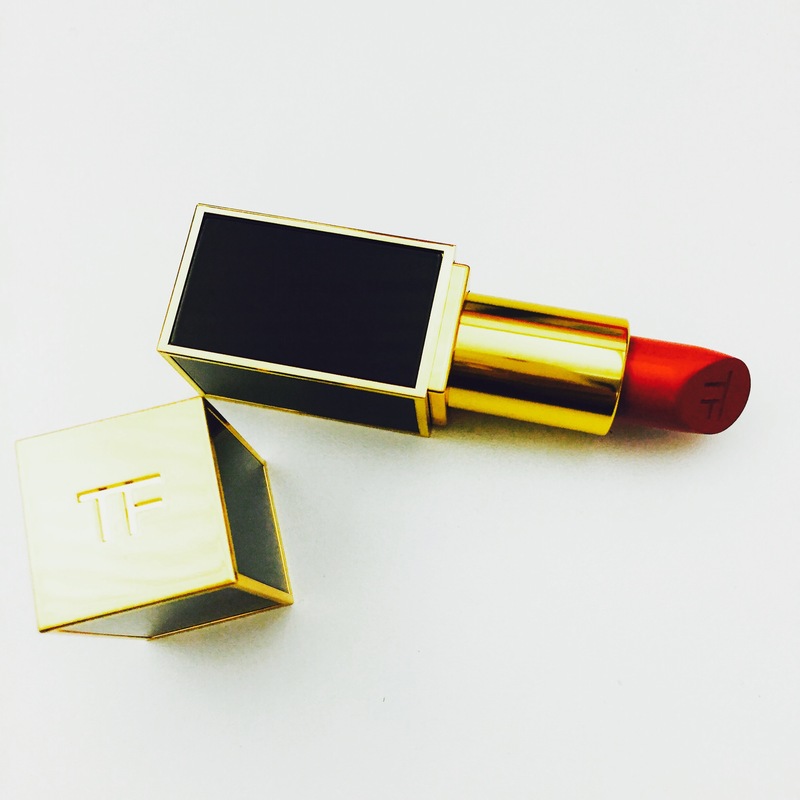 I finally found a new shade I’m in rapture with and it’s by Tom Ford. Ruby Rush goes on smooth, it’s hydrating and has long-lasting staying power. Plus the color is gorgeous, a cross between a a berry red/blue red and I have not been able to put it down. It’s a perfect red matte lipstick that goes with everything of course. I lip line with my Jungle Red lip pencil by Nars or My Red lip pencil by Lipstick Queen and my results are kissable all afternoon. So, has anyone picked up a new shades of crimson? And the packaging is to die for, need I say more?